The above is a PREVIEW ONLY and has been reduced in size and quality. This is NOT what you want for printing. Download the PDF below for printing. We have a full page of labels for each of the Savvy Minerals products (including one for each shade). These are perfect for placing on the bottom of your Savvy Minerals sample so that your potential member/current member knows the shade and item number for that particular sample. This entry was posted in Labels, Marketing Material, Savvy Minerals and tagged Labels, Samples, Savvy Minerals, Shades, The Oil Posse, Young Living on July 27, 2017 by Jordyn Lei. This entry was posted in Brochure, Card Sets, Contact Cards, Essential Oils, Event Package, Flyer, Gift Ideas, Giveaway, Labels, Libido, Marketing Material, Order Form, PSK, Stickers, Vendor Events and tagged Bridal Expo, Bride, Enrollment Form, Event, Event Cards, Events, Groom, Labels, Membership Form, PSK, PSK Card Set, The Oil Posse, Vendor Events, Wedding, Young Living on June 7, 2017 by Jordyn Lei. *UPDATED with Citrus Fresh and Raven cards and Member Enrollment Form. We’ve taken our popular “Ultimate Event Graphic Set” and gave it a Spring-Summer Theme!! We hope you enjoy this excited new seasonal look! More seasons coming soon! This entry was posted in Bloom, Card Sets, Care Club, Classes, Event Package, Labels, Marketing Material, PSK, Vendor Events and tagged PSK, The Oil Posse, The Oil Posse Team, Ultimate Event Package, Vendor Events, Young Living on May 18, 2017 by Jordyn Lei. This entry was posted in Classes, DIY, Labels, Marketing Material and tagged CD Label, GamePlan, The Oil Posse, Young Living on May 5, 2017 by Jordyn Lei. 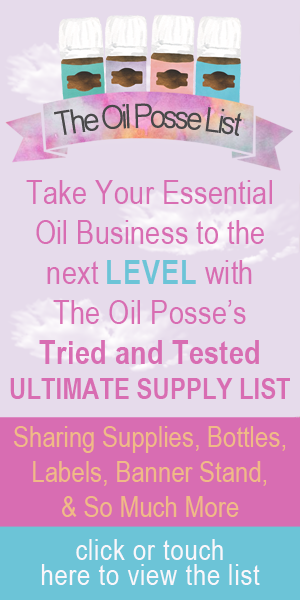 This entry was posted in Business Cards, Labels, Marketing Material, Stickers and tagged Business Card Designs, Labels, Stickers, The Oil Posse, Young Living on May 4, 2017 by Jordyn Lei. This entry was posted in Business Cards, Labels, Marketing Material, Stickers and tagged Business Cards, Labels, Seed to Seal, Stickers, The Oil Posse, Young Living on May 3, 2017 by Jordyn Lei.